Anthropology is the study of humankind in all times and places. It is perhaps the broadest of the liberal arts disciplines in the scope of its focus on humanity. 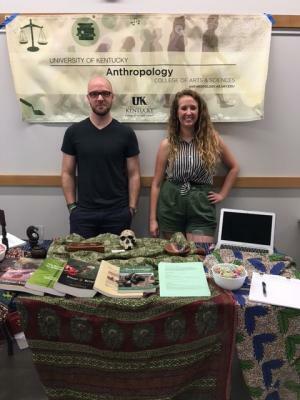 A major in anthropology offers opportunities to learn about the diverse people of today’s world, as well as about their biological and cultural origins. This area of study deals with ecology, society, biology, culture, language and other aspects of human life. In addition, anthropologists study history and evolution in both a cultural and biological framework. The major is structured to provide the student with a broad overview of the major subdisciplines: cultural anthropology, physical anthropology and archaeology. It also allows sufficient flexibility for a student to concentrate on a specific area of interest. What skills does studying anthropology develop?